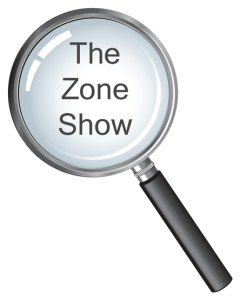 The Zone Show got its 50,000th listener this month and my eternal thanks goes out to all the guests who have appeared on the show and made it what it is. Big thanks too to all those 50,000 sets of ears who have ‘tuned in’. Author, singer, actor, dancer, podcaster and ninja, Tori Eldridge shares her wisdom on how to make the world a better place for you, your family and humanity as a whole. Author, and so much more, Smita Joshi shares her wisdom and her story in this new amazing trilogy, Karma and Diamonds. Author and co-founder of New Dimensions Radio, Justine Willis Toms, shares her wisdom on how we can thrive at this time of change. Vicki Wusche talks about about her new book, The New Estate : Insights from the 22nd Century. Gary Plunkett explores the most amazing new tool for personal and business transformation, the Cube of Light.